all levels from beginners to A1 players for 22 years. Our motto is learn to play tennis and play for life. The Woodward Tennis Academy is a tennis coaching facility based in the Hurstville area of Sydney NSW. We specialise in high quality professional tennis coaching catering for all ages and levels from beginners through to advanced players. From group lessons through to private coaching there is something to suit everyones needs at Woodward Tennis Academy and you can be assured whether you are a beginner or an advanced player you will benefit from the time you spend on court with us. 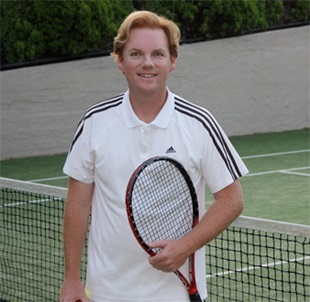 Founder and head coach James Woodward is a tennis australia club professional coach and a tennis coaches australia advanced coach and holds a Bachelors degree in Physical Education. James has been successfully coaching tennis in Hurstville for the last 22 years and has a lot of experience at all levels of the game. development and games relevant to each groups ability level and playing experience. Each child will receive quality teaching and instruction in a safe learning environment. are $15 dollars per hr per student. on age and ability of the student. The rates are $18 dollars per hour.